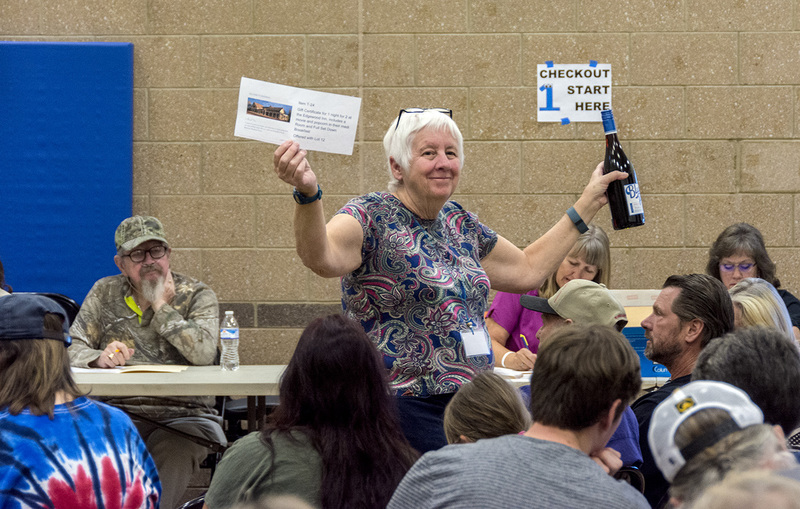 The Pikes Peak Historical Society Annual Auction will be held on Saturday, October 20, 2018 at 2:00 pm at the Lake George Charter School gym/auditorium in Lake George, Colorado. This auction is THE major fundraiser for the Pikes Peak Historical Society, a non-profit organization which maintains two free museums in Florissant. The PPHS also provides free educational programs throughout the year. This organization and their sponsored events are funded by membership dues and donations. The funds generated by the annual auction supplements these funds by paying mortgage and insurance for our museum..
A variety of items will be offered for purchase at the upcoming auction – gift certificates to local stores, food items, antiques and collectibles. Credit cards are accepted as well as cash or check donations. The Lake George Charter School is located just 4 minutes from Florissant, on the south side of Highway 24 just 2/10 mile west of the Ferrell Propane lot. The School has ample parking and seating. But come early! Viewing begins at noon and the Auction starts at 2:00 pm. Drinks and a snack lunch will be available for purchase during the pre-auction viewing.